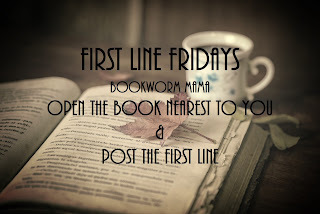 Friday, April 29, 2016• First Line Fridays, Misc. Inspired by the lovely Carrie over on Reading is My SuperPower I have decided to try something new here. 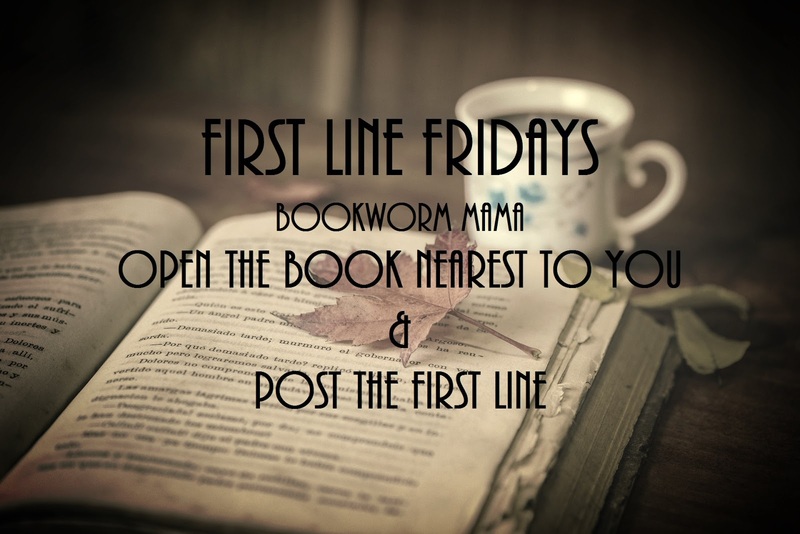 Each week I will post a "First Line Fridays" post and you can share with us the book you are reading (or happen to be sitting next to when you see the post)! Just post the first line of the book that you are the closest to when you see this post. There is only one rule...No Cheating! The first few weeks I participated in this I had some obscure books that I happened to be the closest to...And it made for some good laughs! Here is the book that I just finished, and happen to be the closest to as I write this! She could set fire to the letter in her pocket and it would still be true. So what is your first line? Share in the comments below and head over to Reading is My SuperPower to join in the fun with Carrie! She is also hosting a very fun giveaway today! Hildemara lay in the darkness, her nightgown damp with perspiration. YAY!!! :-D Thank you for joining me in my craziness :-D From the time I wrote my own post until now I have a different book in front of me lol - "The pathetic state of Allison Shire's existence was perfectly summed up by the size-twelve prosthetic feet mocking her from the floor of the Mercedes minibus." Haha! Of course you do ;) Hmmm...I don't know what that is from but now I am super curious haha! Close to You by Kara Isaac .... I can't believe I forgot to mention that LOL. oops. Haha! It's all good...I would try to guess everyone's, but I am not as widely read at this point haha! I am not close to any book right now. But i am reading Promise to keep by elizabeth byler younts. Ooh that one looks good! Thank you for sharing! that IS such a good book! That whole series is so intriguing! I'm sitting here writing this from my husbands grandparents house and the closest book I have near me is "The Ketogenic cookbook." First line is... "Are you ready for nutritious, low-card, high fat paleo meals that help heal your body?" Haha! That is awesome! Hopefully they are tasty meals haha! Oooh good line! Thank you for stopping by! Wrapped in a shawl and drawn by the heartstrings, Anna Doyle let herself out of the white stone farmhouse before anyone else had awakened and strode briskly down a cart track past the harvested cornfields, headed for the strip of mist-draped woodland making the creak near the farm's western boundary. - from Lori Benton's "A Flight of Arrows." Ooooh...I have that on my TBR!!! Sounds good! I love that first line and your first line, Rachel! And now I want to know what kind of face that might be! Thanks for stopping by Annie! This is also on my TBR! Thank you for stopping by Valerie! Thanks for stopping by Katie! This sounds like a good one! 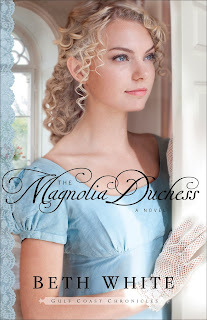 Added to my TBR! I LOVE Calvin & Hobbes! Although with 2 small sons, I foresee my future in this book! Haha! The book I am closest to is titled, 5100 Quotations for Speakers & Writers and the first line is . . . Ideas are the most powerful things in the world. Oh gosh! I love Shakespeare so much! Great line!!! Thanks for joining in! Am I supposed to list the title of the book, or make you guess? That is what I was thinking too! Haha! The Elements of Style, by William Strunk Jr. and E.B. White. Mine would be: Climbing a tree in heels? Not one of her better decisions. I literally laughed out loud at this! Love it!!! Thanks for stopping by Meghan! The closest book to me is one I'm currently working on lol. But here's the first line to a published book closest to me... the Golems's life began in the hold of a steamship. - The Golem and the Jinni by: Helen Wecker. Good line! Thanks for joining in Kati! "Relax", Gillian Hodge forced her fingers to stop gripping the steering wheel as if it were a lifeline. - first line of On Lone Star Trail by Amanda Cabot. Thanks for stopping by Sylvia! This is on my list to read. Really good line! I held my breath. Have you ever found yourself playing one of your favorite video games and wondered what it was like to make one? From Cool Careers in Video Games, which belongs to my oldest son. But Mario is on the cover and my little boy has been carting it around all day. Haha! That is interesting. I have to admit that that thought has never crossed my mind before. I am not much of a gamer lol. Thanks for sharing! "The sharp metallic click meant one thing." Just finishing that one up. It's so hard to stop at one line though, I had read the first page all over again just for love! Thanks for hosting FLF fun, Rachel! Oh gosh I know the feeling! Thank you for joining in the fun Beth! I love to read too...I have to admit that my favorite is Amish Ficton...though I dabble in many other genres!!! It helps me to escape...whenever I am having s bad day...Good Luck and God Bless Everyone!!! I have not read much Amish Fiction, but I do enjoy it! Thank you so much for stopping by Frances! I love to read, but my problem is my memory! I can't remember a line, even five minutes after I read it! I do remember a story...and the basis of a story...though not on a line for line basis!!! My favorite genre is Amish Fiction, but I read a lot of other genres as well!!! Thanks so much for this opportunity!!! God Luck and God Bless Everyone!!! "Evelyn Brandt stood in her kitchen, the sound of uptight laugher filtering in from the dining room." That is a good one! Thank you for stopping by Amy! Infuriating artists...Captain Stephen Marshall Overtree grumbled to himself as he walked along the harbor of the unfamiliar town, looking into each shop window. Thank you for joining in the crazy fun Anne! I love The Painter's Daughter! "Christine unfolds the tissue paper inside the pink-striped hatbox and the odor of lost years floats upward." from Stars Over Sunset Boulevard by Susan Meissner. Oh! OH! I LOOOOOVED this book!!! Read Gone With the Wind and rewatched the movie just recently too! These books look like a good read. Enjoying your web-site. Thanks fro the giveaway. Thank you for stopping by Marilyn! Hey Rachel! My first line comes from Rachelle Dekker's THE CALLING. Damien Gold sat down beside Roth Reynard, better know as the Scientist, on the hard wooden bench. I have yet to read this one! Sounds good!!! Thank you for stopping by! "I am Miriam, old but of use." from Miriam by Mesu Andrews. Next on my TBR pile! Ah! On my TBR too! Thank you Cyndi! No book handy, so I've been reading my Bible from my phone app today. Here's where I'm at: "And I, when I am lifted up from the earth, will draw all people to myself." (John‬ ‭12:32‬ ‭NIV‬‬). Best book of all! Thank you JJ! Okay first line in the book closest to me... "When I wake up, the other side of the bed is cold" now guess what book that's from! I have no idea Sis! Thanks for joining in the fun though! That does sound like a good one! Thanks for sharing Loraine! "Climbing a tree in heels? Not one of her better decisions,"
Haha! I love this line! Thanks for stopping by Trixi! The caramel sauce was almost three hundred and fifty degrees when the screaming started. Oh gosh! So many questions now!!! Thank you Dianne!